This tour will see you climbing, crawling and squeezing through the infamous Rat’s Nest Cave. A 1/2 hour hike through pine forests and canyons will lead you to the cave entrance. After changing into caving equipment and reviewing safety practices, you will enter the cave to enjoy a natural history interpretation of this fascinating underground world. Our fully experienced, interpretive guides will lead you through twisted passageways, etched and sculptured by water, to large underground chambers and a pool grotto. No experience is necessary as full instruction is given by the guide. Same as the Explorer tour apart from a the 60ft rappel and test your nerve in the ‘Laundry chute’. 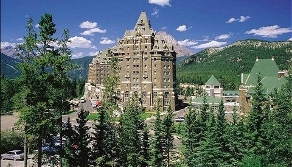 Investigate the Canadian Rockies by adventuring deep into the limestone cave on Grotto Mountain. Banff Travel offer cave tours with highly trained and experienced guides who lead you through the historical limestone labyrinths. Discover mineral formations, deep caverns and ancient fossils during the guided treks. 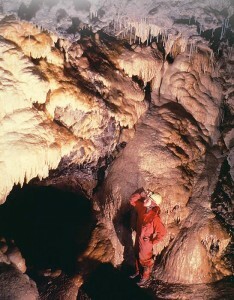 Banff Travel offers two cave tours. The adventure tour allows splunkers to rappel from an 18m (60ft) drop and traverse through narrow passageways. The explorer tour offers a similar itinerary without the rappel. Banff Travel suggests that participants should be physically active and wear light shoes with moderately warm clothing especially in the winter. Make sure to bring a water bottle and a camera.